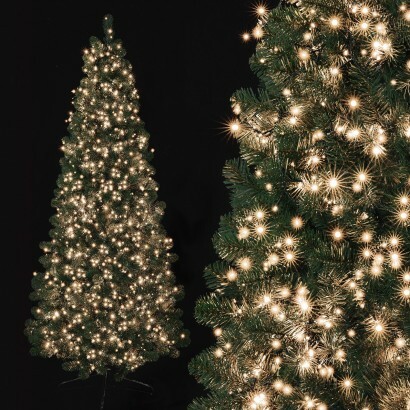 Transform your Christmas tree into a sparkling spectacular with warm white LED lights! 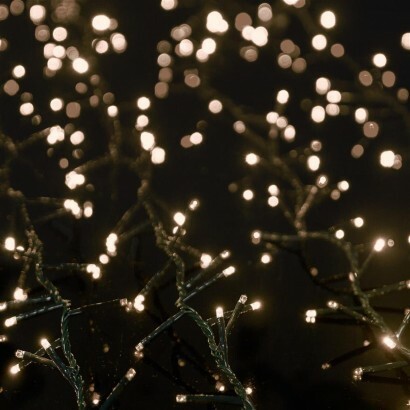 Treebrights have four times as many lights per metre as standard string lights allowing you to give your tree professional sparkle and a magical look. 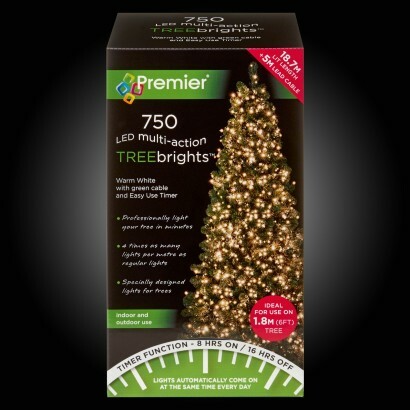 Specifically designed for use in trees, this 750 LED stringlight set is perfect for use with Christmas trees standing at 1.8m (6ft) tall giving fantastic coverage with LEDs spaced at just 2.5m apart. Mains operated, these magical fairy lights have a timer function (8 hours on/16 hours off) so that they switch on at the same time every day to the same function so that all that you have to do is decorate and enjoy.